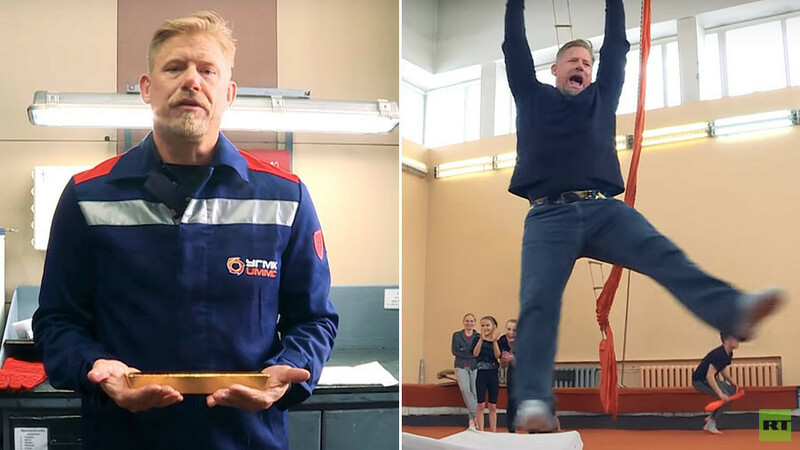 In the latest installment of The Peter Schmeichel Show, the Great Dane visits Ekaterinburg, a city that stands right on the geographical border of Europe and Asia. Ekaterinburg is the World Cup’s easternmost host city, and is located in the shadow of the Ural mountains, which separate Europe and Asia, right in the geographical heart of Russia. Apart from the newly refurbished Ekaterinburg Arena, which will host four matches at the upcoming World Cup, Ekaterinburg has plenty of interesting local culture to offer football fans. From a foundry where Peter learns to make gold bars, to a renowned circus school and local music venues – the Danish goalkeeping legend proves that he’s not only good between the sticks, but also a decent guitarist.